What Is a Puppy Training Class? Puppy training classes are training courses that are usually held once a week and can last for about four to eight weeks. 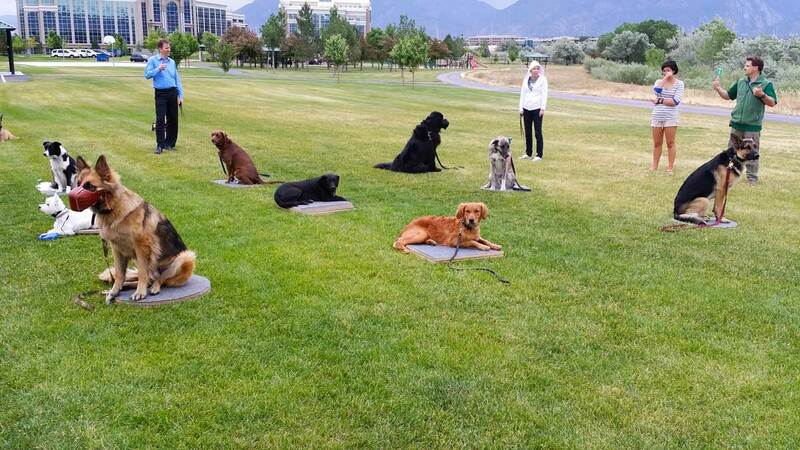 They are usually taught by an experienced dog trainer, and can be done in a group or individually. Fees can vary due to the trainer, the facility the class is held in, whether it is a group class or an individual one, etc. The goal of a puppy training class is to teach your dog fundamental basics of training and behavior that will help them with socialization, communication, and obedience in the future. The lessons your dog learns in class should be worked on at home and in between classes by you to help drill it into their minds. Why Should I Enroll My Puppy in a Class? Puppies aren’t born perfect. It takes a lot of hard work and training to help them learn to be obedient and and calm in social situations. Puppy training classes teach dogs at a young age essential commands, techniques, and skills that help set the foundation for good behavior in the future. Enrolling your pup in a training class can help take the burden of training them off your shoulders if you’re feeling too overwhelmed. Most programs require minimal involvement from the owners outside of drilling the lessons they’ve learned outside of class to make sure the training doesn’t regress. Your puppy will learn a lot of essential lessons in class. They will learn how to play with other dogs and humans, how to bite gently, how to socialize safely with strangers and children, and off-leash obedience. The trainer teaching the class can also help you focus on behavioral issues you feel your dog specifically needs help with. The younger, the better. Puppies between eight and fourteen weeks are the best to enroll because they are young enough that they haven’t formed and internalized bad habits. They make the best students to completely retain what they have been taught, so long as you keep the lessons up at home. Should I Enroll in a Group Class or Private Class? Both group and private classes have their advantages and disadvantages. Group classes work best for young puppies (about eight to fourteen weeks). In a group class, your puppy can interact with other puppies and humans, learning how to socialize and ignore distractions. The pup benefits from learning in a simulated environment and also having the added advantage of homework with you. You have limited class time though, and your trainer has accommodate all of the puppies in the class, not just yours. It’s less personal and specialized. Private lessons allow all of the focus to be on your dog and their individual needs. This requires you to be much more involved though, which can be difficult if you have a busy schedule. You also lose the benefit of socializing with other dogs and people. At the end of the day, it all depends on how your puppy learns best, whether it’s in a stimulated and social place or in a quiet environment with fewer distractions. Puppy training classes are the perfect way to help your pup become a confident, relaxed adult. It’s an invaluable investment for your dogs future that will impact them for the rest of their life. Do you have any questions or concerns? Contact Dog Training Elite today, we’re happy to help!